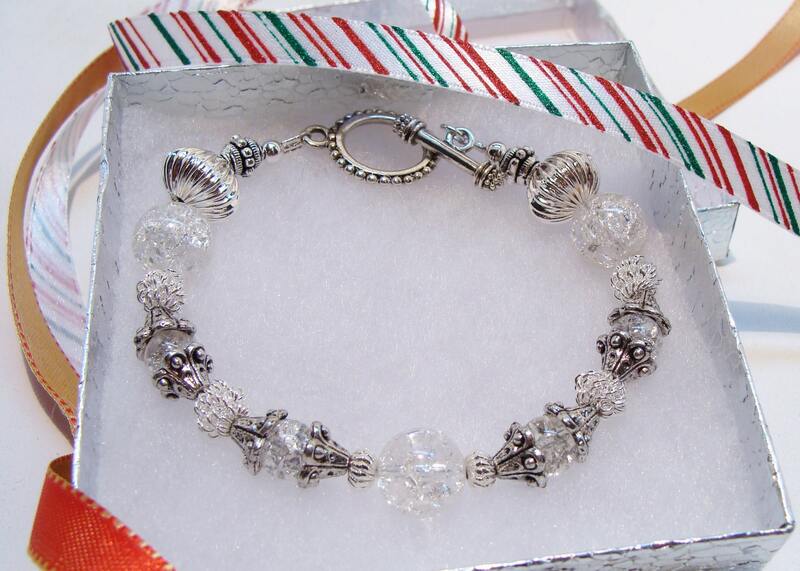 Shine throughout the Holiday Season with this sparkling crackle glass bracelet with silverplated lantern beads, antique silverplated fancy cone bead caps, curly silverplated wire beads and bumpy spacer beads. I've been wanting to make a bracelet with these crackle beads for awhile because they are so beautiful and shiny and the time was just right for this one. With a lovely toggle clasp it measures eight inches and will look great with the matching Crackle Glass Earrings.